Dependable, innovative solutions to secure staff and assets. State-of-the-art access control systems that integrate the most advanced security technologies with innovative network capabilities. Both on-premise and cloud-based solutions, to manage your security in real time, from anywhere, at any time. The industry's most secure and agile cloud-based access control that can be managed from anywhere there is an internet connection. Feenics Keep employs a friendly, intuitive and feature-rich user interface that uses a simple native app, with robust features. The platform is built using open architecture hardware for limitless inter-operability, plus it is fortified by the security, disaster recovery and redundancy of Amazon Web Services. We provide a multiple workstation software platform that offers the ultimate balance between power and affordability in a network environment. It offers the flexibility to securely connect controllers directly on the network, utilizing highly secure 128-bit AES encryption to ensure communication is not compromised. 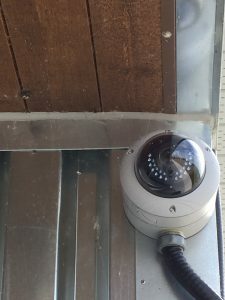 We bring the benefits of digital security monitoring to commercial applications, with cameras, recorders, monitors and interfaces that deliver practical and reliable video surveillance, even in the most challenging environments. Our CCTV solutions integrate with both our Cloud-based and On-Premise Access Control systems. A complete off-line electronic locking system providing Controlled Access, Accountability, Physical Security, System Management and full Auditing. More than just a way to protect your property, equipment and assets, Intelligent Keys are also a business tool that can lead to a substantial return on investment. No time to manage your security systems? Find out more on our Managed Security Solutions, where help is always just a phone call away.